On April 29, 2018, Kyoko "Mio" Miyoshi, JR3MVF (Osaka, Japan), and Kay, WA0WOF (Kansas, USA), joined Junichi Tojo, JH3AEF, and Jusei Kitai, JA3IVU (both also from Osaka), on their 7th trip to the Kingdom of Bhutan. Mio and Kay have been issued A52YL as a group license, and the two OMs will be using their calls, A52AEF and A52IVU, respectively. In addition, Mio and Kay have been issued individual licenses. Mio's is A52YLM and Kay's A52YLE. Kay (WA0WOF) will answer QSL requests for A52YL, A52YLM, and A52YLE; they will also use LoTW. No bureau cards and Internet not available. They will have three radios and will be operating at an altitude of around 10,000' (ft) at Dochula Eco Retreat, described as the most scenic spot in Bhutan. Hello, Kay (WA0WOF) and me Mio (JR3MVF), were on the air in Bhutan as A52YL From 29 April to 5 May. We enjoyed very much and had many QSO with SSB, CW and FT8. Dochula Eco Retreat is located about 30 km away from Thimphu, the capital of Bhutan. The Dochula pass between Thimphu, and the ancient capital of Punaka, has panoramic views of the snow-clad Himalayan mountain range. Dochula is at an altitude of 3150m above sea level, with less oxygen, which can cause altitude dizziness; but the location is excellent for radio operations. The climate in Sept. Oct, April, May is favourable during the day, although it is cooler at night it is rarely too windy. AC5PN, N.Chhawna was the first Bhutanese to go on the air in 1955. 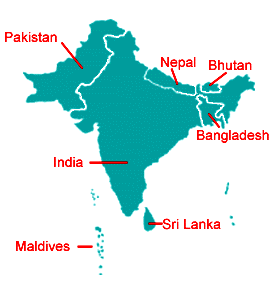 He was followed 7 years later in April 1962 , by a group VU2US/AC5, sponsored by the "Amateur Radio Society of India". 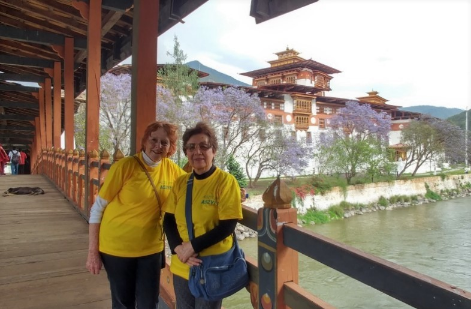 AC5PN was also instrumental in helping Gus Browning W4BPD (Sk) get operating permission for his Bhutan Dxpeditions. Gus Browning W4BPD was the first western operator to operate from Bhutan 1965 - a legendary Ham from USA, (Dx Hall of Fame 1967). In January 2001, Glenn Johnson W0GJ and family were operational as A52GJ, his wife Vivien KL7YL as A52VJ, daughter Melissa N0MAJ as A52YL, son. Mark N0MJ/ A52MJ, second son Paul W0PJ/ A52PJ. Paul was the youngest ham to operate from Bhutan – he was 13 years of age in 2000-2001. 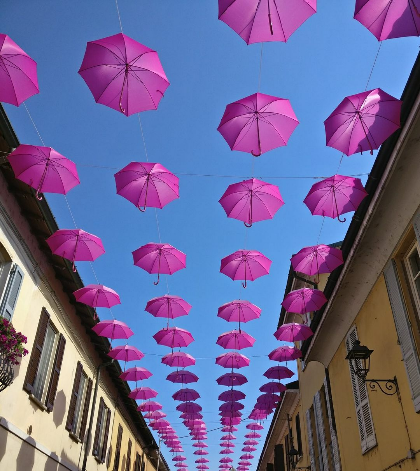 The Giro d’Italia is the prestigious annual multiple-stage bicycle race in which riders from all over the world compete, through some of the most breath taking scenery in Italy. The 29th running of the women's Giro d'Italia, or Giro Rosa, is scheduled to be held from 6 to 15 July 2018. Below is the Cycle Stage schedule 2018 – this will enable radio operators to follow Contest stations. LA RADIO IN ROSA - RADIO IN PINK 6-15 July Giro Rosa 2018. Each day On-Air with Woman’s Italian Cycle Tour. Awarded by URI (Union Radioamatori Italiani) this event was established in honour of the Tour of Italy in Pink. A very simple Award which is issued for each Stage of the cycle race, through the single contact with an on-the-air station, on the day; and at the end of the cycling event, with the presentation of the Tour Jerseys (Maglie del Giro). La Radio in Rosa is a diploma awarded by The Italian Amateur Assoc. and each stage has its own pretty QSL card. STAGE stations - There will be a URI station active on each stage of the race. The station for each Stage can be on site or even located somewhere in Italy. The station who makes the contact with the nominated ON AIR station will receive a Special Stage Diploma/ Certificate. All YL and IQ URIs can be active during the course of the day. We could expect the participation of many Italian YL’s or even foreign participants from other associations. Those participants will be awarded a Diploma/certificate for the event. Categories: YL, OM, SWL, QRP, CW, DIGITAL. All the Diplomas/Certificates will be presented free of charge and in PDF format. The LOG's must be submitted in Word or excel format, or enter directly through the links in the body of the email list as the www.iq0ru.net site, dedicated to the Radio in pink page, will be entered into the log's online so you can search for milestones achieved. Kiel lies approximately 90 kilometres (56 mi) north of Hamburg. A major maritime centre located on the Kiel Fjord and the Kiel Canal (Nord-Ostsee-Kanal), Kiel has also been one of the traditional homes of the German Navy's Baltic fleet. The Laboe Naval Memorial on the Baltic Sea coast, approximately 10 km northeast of Kiel, is where the submarine museum U-995 rests. U-995 built in 1942 and commissioned 1943, with a length of 67.10 m (220 ft 2 in), was capable of operating at depths of up to 230 metres (750 ft). At the end of the war on 8 May 1945 she was stricken at Trondheim, Norway. She was surrendered to the British then transferred to Norway in1948. In 1952 U-995 became the Norwegian submarine Kaura and was taken out of service in 1965. 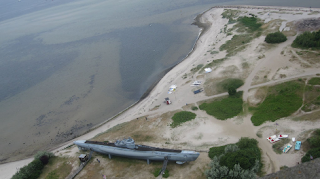 U-995 became a museum ship at the Laboe Naval Memorial in October 1971. At the International Museum Ship Weekend (IMWE) members of the "U995 friendship crew" were active from the submarine’s original radio room, in modes of morse code and voice trying to catch other museum ships on air worldwide. The annual IMWE gives visitors to the submarine U995 the chance to get an idea of how radio contacts are made. Of course, they will also learn a lot here about submarines and the DMB. Now the International Museum Ship Weekend (2018) is over and we are all back in our home countries. It was a lot of fun again. A total of 108 museum ships took part. U 995 (Call sign DL0DMB) is a museum ship of the German Naval Association (Deutscher Marinebund DMB) and is located in Laboe/Kiel Bight. 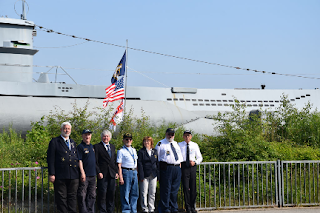 Bob (N4XAT), a member of the Battleship USS NEW JERSEY and the "U995 friendship crew" was in Laboe. from Angela 2E1GDC, who did not operate the radio (picture Angela 2E1GDC and Maren DK9MOS). We worked from the original radio room of U 995 with our own equipment. 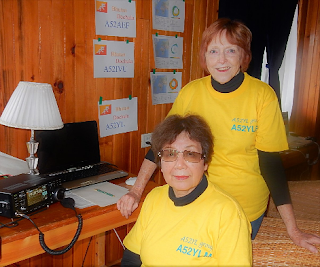 We have made over 80 QSOs on the two days - mainly Europe from OH Finland to YO Romania- and reached 4 museum ships of the 108, but it is a fun event and the propagation was not good! While one ham is on the radio, the others tell the visitors about our hobby and of course something about U 995. Jack DK9OS (my OM), Bob M0BZZ, Jonny DL4HJ, Bob N4XAT, Maren DK9MOS, Bill G0ELZ and Harry DL6LV. We will receive a certificate like that one from 2017 in spring 2019. Of course friends of ours joined us the whole time - among others Harald DL5XI (callsign DL0DMB). He took care of the YLs Angela 2E1GDC, Kathy (sister of Bob N4XAT) and Tanja (Ukraine) and showed them U 995 and the surroundings. Next year we will return and think we will have fun again. Hope you enjoy this little report. 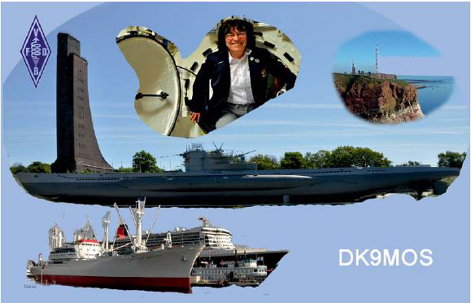 Now you know the origin of part of the pics on my QSL card. x Anette Jacobs ZR6 D on receiving the Willy Wilson Gold Badge x This was incorrect. Aug 8 -15 YOTA Somerkamp 2018 South Afrika.